Summer travel is in full swing in the warm Southwest, so we need to turn our thoughts to higher elevations in search of agreeably lower temperatures. 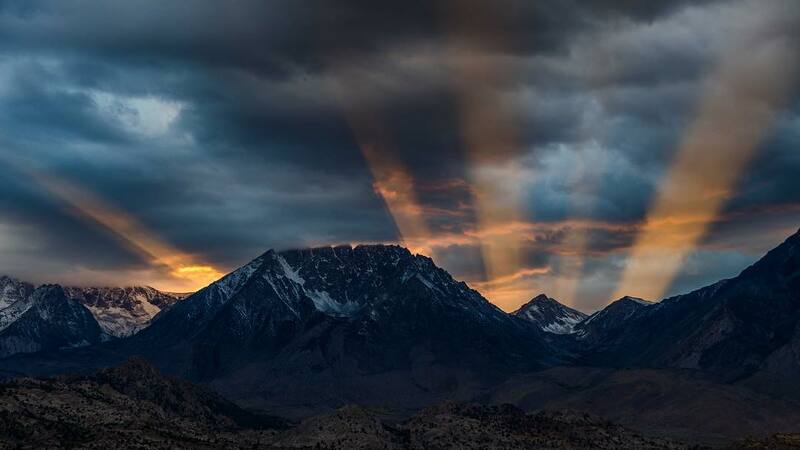 A great destination for that purpose is the Owens Valley town of Bishop, California, at a cool 4,200 feet, roughly twice the elevation of Las Vegas. It’s not only a super place to spend a few days at the foot of the Eastern Sierra, it can serve as a wonderful base camp for visiting Mammoth Lakes, Lee Vining, Mono Lake and Yosemite National Park. There is plenty to do in and around Bishop. 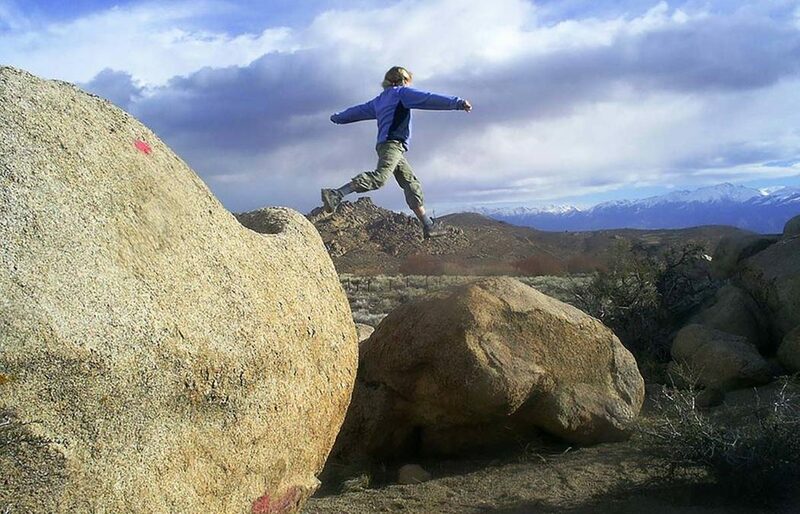 Visitors from all over the world hike, climb and mountain-bike, do some world-class fishing, or start a multi-day guided pack trip by horse or mule into the High Sierra. Exploring the multitude of scenic back roads is a treat in itself. Schat’s Bakery, opened in 1938, is the place to start any morning in Bishop. It is best known for its “Original Sheepherder’s Bread” first served to the Basque sheepherders who grazed their flocks in the surrounding area. This bread is sort of a sourdough type in hand-shaped loafs. One of the most scenic roads in the Eastern Sierra, Bishop Creek Road, starts in Bishop. It heads west out of town about 19 miles, first through high desert sage and ranchland, at around 4,200 feet, and climbing up to a mountainous landscape of pine trees, aspen groves and alpine lakes at nearly 10,000 feet. Be sure to take a right on the well-maintained gravel road that leads to the Buttermilks. These are granite rock formations and are very famous, not only for their beauty but for their bouldering opportunities. 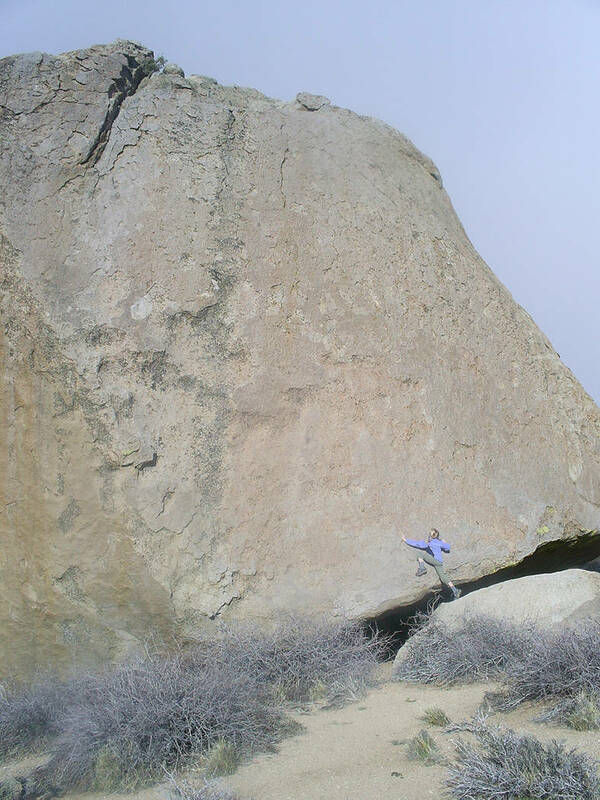 Bouldering involves focusing on a single boulder or small area where rock climbers solve the “problems” of how to best climb some short route. No ropes are used, just lots of powdered chalk to keep the hands dry for gripping. All smart people involved in this sport bring along a cushiony “crash pad” to land on if they fall. Returning to Bishop Creek Road and heading into the high country, you will find first-class trails for day hiking or backpacking into the high country. Up here are many alpine lakes for that famous fishing, and some of California’s finest mountain views. But if fishing is your fancy, you don’t even need to venture into the high country, for there are rivers, lakes and creeks in Owens Valley itself. Fly fishing is most popular in this region, although some fishermen use lures or bait. Best bets here are rainbow and wild brown trout, but there are also bass, carp, perch and bluegill. 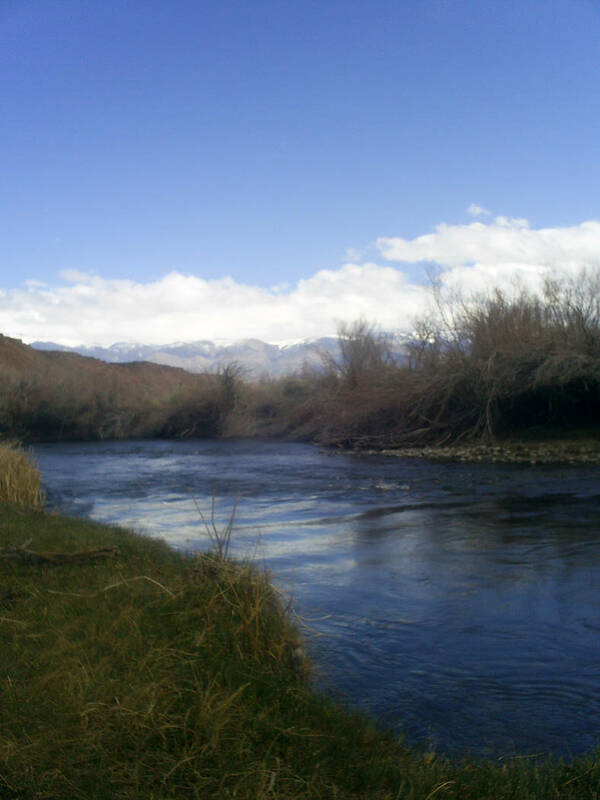 A fantastic area to fish is in the valley along Chalk Bluff Road, which runs between the lower Owens River and the obvious volcanic cliffs to the north. On this road the river serpentines about 4.4 miles. It’s a catch-and-release area, which means you must use barbless hooks and artificial lures. Laws change regularly, so before wetting your line, inquire at one of the fish-and-tackle stores in Bishop, when you get your fishing license and get updated information. Though a small town, Bishop offers services including lodging, food, gasoline and a hospital. For more information, including a calendar of events, contact the Bishop Chamber of Commerce and Visitors Bureau, 690 N. Main St.; 760-873-8405; or www.bishopvisitor.com. Reservations are always advisable in such an appealing location and are a must during special events such as the California High School Rodeo finals in mid-June. To Bishop: From Las Vegas, take U.S. Highway 95 north for about 115 miles to Beatty. Turn right and continue north on U.S. 95 for 52 miles. Turn left onto NV-266 and drive 45 miles. Turn left and continue on CA-168 for 38 miles. Turn right onto U.S. Highway 395 north and follow for about 15 miles to Bishop. To Buttermilks: From Bishop, starting at U.S. Highway 395 and CA-168 (Main and Line streets), go west for 7.3 miles and go right onto Buttermilk Road. Follow this well-graded gravel road for a few miles to the heart of the Buttermilks. Our guest bloggers come from various locations and walks of life, but all share a common interest in this beautiful place.